The short irons and wedges present the most variability and room for creativity of all the clubs in your bag. With lots of loft on these clubs, we can open or close the club face, and move ball position forward and backward to produce a wide array of shots. I encourage you to practice and to experiment with all sorts of different lies, ball positions, and situations with these clubs. Better players are extremely accurate with these clubs in terms of both direction and distance control. 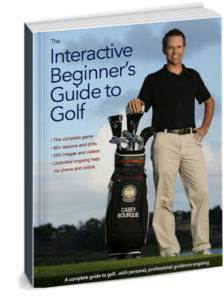 They can control trajectory, and have experience hitting all sorts of shots in many different situations. 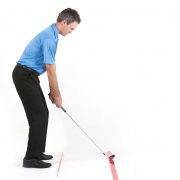 Standard set up with short irons is with the ball in the middle of your stance and your feet shoulder width apart. The first step is to assess your lie. If the lie is poor, in taller grass, or presenting limited access to the back of the ball, you want to choke down on the club and push the ball an inch or two back in your stance. This adjustment in your setup will promote a more descending angle of attack, more control of the club head, and a better chance for clean contact. There is plenty of loft on the club, so don’t worry about the ball getting up in the air. With a good lie, more confident players will take dead aim with short irons. 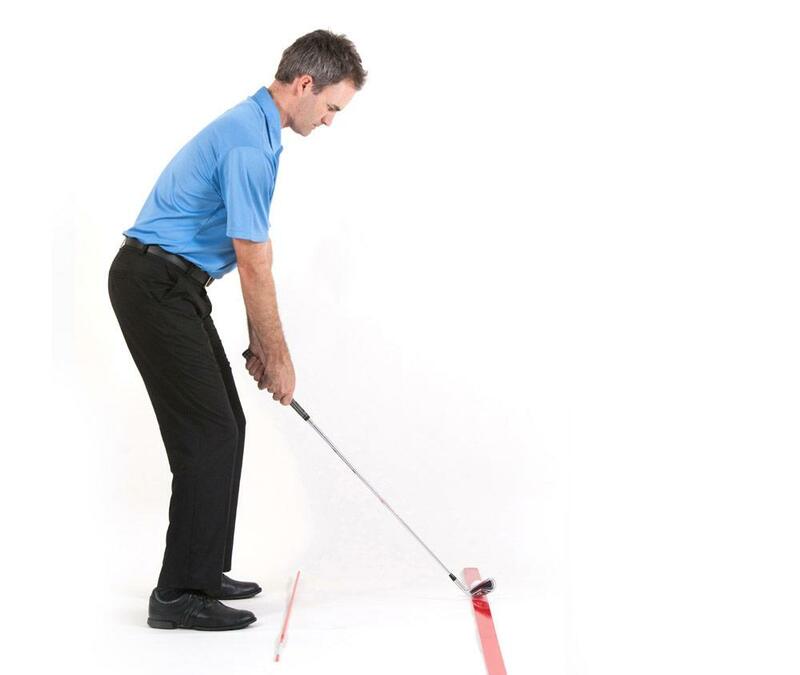 Be very precise in setting your club face angle at address, and ensuring that your body lines are aligned perfectly. We are not looking for power with our short irons, so swing the club with simplicity, ultimate control, and maintain perfect balance throughout your swing. There should be no over swinging with these types of shots. If you need to hit the ball further, simply choose a longer club. 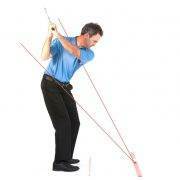 Turn your body away from the ball in one piece and load onto the inside of your right leg with back facing the target. Simplicity is best – because the focus is on precision rather than power, there is no need to shift your weight radically from one side to the other. From the top, shift targetward, approach impact from the inside, strike the ball in a slightly descending motion just prior to the swing bottoming out. 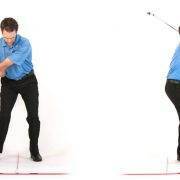 We finish in good balance on our left side, with belt buckle facing the target and right heel completely off the ground. Hold your finish and observe the shot’s trajectory and shape to completion. In summary, the focus on short iron play is absolute precision – controlling not only direction but the distance of each shot. 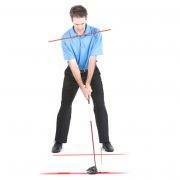 Take the same athletic posture and stance suitable for maintaining balance throughout your swing. Typically the ball should be centered in your stance, but it is very important to assess your lie and make accommodations as necessary. Choke down and move the ball back in your stance with a poor lie. 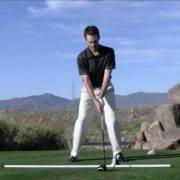 Get very precise with your set up in terms of aligning the club face and your body position. Make a controlled golf swing, striking the ball with a slight descending angle of attack, and maintaining perfect balance throughout.